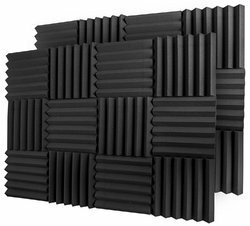 Prominent & Leading Manufacturer from Ghaziabad, we offer perforated acoustic panel, polyester acoustic panels, wall acoustic panels, wooden grooved acoustic panel, wood acoustic wall panel and rectangle acoustic panel. 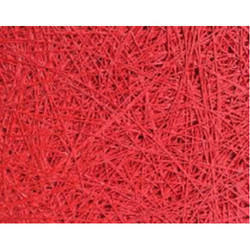 Provides Complete Thermal & Acoustic Insulation. Does Not Loose Thickness Or Volume Over Time. 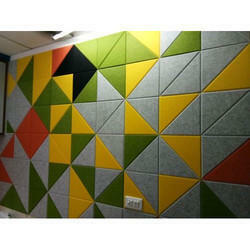 Pan Global Energy provides Wall Acoustic Panels, is a special kind of board made of sound absorbing materials. Its job is to provide sound intelligibility. It can be directly pasted on he wall and when sound passes through an acoustic board, the intensity of sound is decreased. It comes in a variety of colors and sizes. It enhances both, the aesthetics’ as well as sound intelligibility to the area. 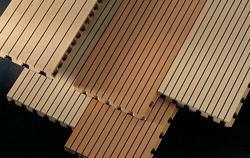 Raw acoustic boards are also used to create fabric wrapped acoustical panels. 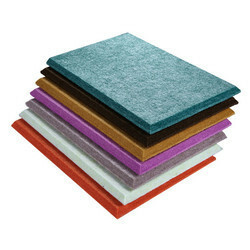 Pan Global Energy Pvt Ltd are the manufacturers of Grooved wooden acoustic tiles in 16 mm thickness, Front face MICA Laminated on acoustic fleece adhered at back side. Client / Architect can choose the color of MICA to match with the interior. The offered price are very competitive and the product is MADE IN INDIA. With the assistance of our dedicated team of professionals, we are providing a premium quality range of Wood Wool Acoustic Wall Panel. 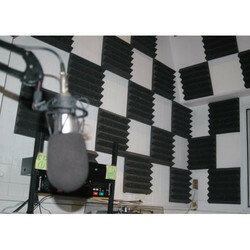 Looking for Acoustic Panel ?